100% Organic Brown Rice. For babies from 6 months onwards to 3 years old. 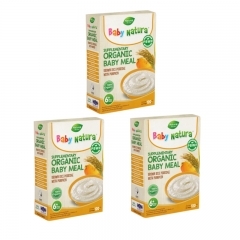 Baby Natura Organic Brown Rice Porridge - Pumpkin 3 Packs 100% Organic Brown Rice. For babies from 6 months onwards to 3 years old. 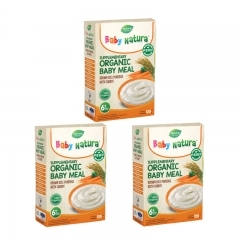 Baby Natura Organic Brown Rice Porridge - Carrot 3 Packs 100% Organic Brown Rice. For babies from 6 months onwards to 3 years old. For babies from 6 months onwards to 3 years old. After your baby is breastfeed for the first six months, they are ready for solid food. The introduction to solid food will allow your baby to experience a new taste and texture. All solid food for your baby should be mashed and ground at this stage to support your baby's ability to swallow. These products are best for parents who are health conscious and babies who are allergic to food with additives, colourings, artificial flavourings etc. 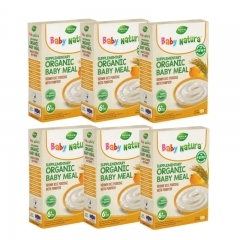 Baby Natura Organic Brown Rice Porridge can help parents create a variety of different meals for your baby . 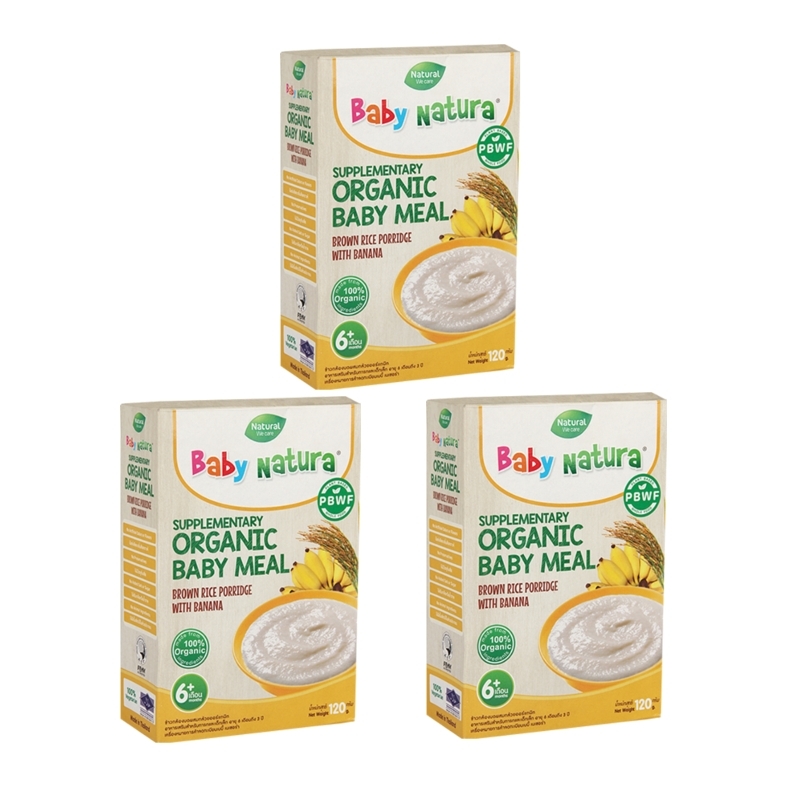 PriceUS$10.26 Baby Natura Organic Brown Rice Porridge - Banana 3 Packs Sales Discount Shopping. 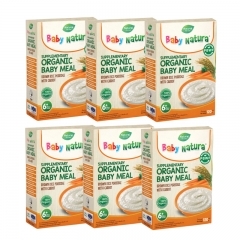 Baby Natura Organic Brown Rice Porridge - Carrot 6 Packs 100% Organic Brown Rice. For babies from 6 months onwards to 3 years old. Baby Natura Organic Brown Rice Porridge - Pumpkin 6 Packs 100% Organic Brown Rice. For babies from 6 months onwards to 3 years old. 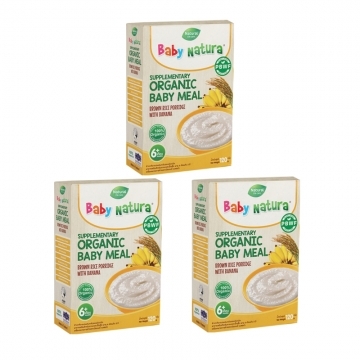 Baby Natura Organic Brown Rice Porridge - Pumpkin 3 Packs100% Organic Brown Rice. For babies from 6 months onwards to 3 years old.